Three architecture firms have joined the growing portfolio of one of the only investment groups focusing on the architecture space. Charrette Venture Group (CVG) announces new contracts with Process Architecture in Orlando, Florida, BuildingWork in Seattle, Washington, and HKP Architects in Mount Vernon, Washington. “We now have eleven firms in our investment portfolio and roughly 20 additional firms contracting for various services,” said Todd L. Reding, president and CEO. “We have come a very long way in less than three years,” he said. Charrette Venture Group provides services, technologies, group purchasing programs, and other assets related to improving the business side of a design firm. “Ultimately we help firm owners improve as business leaders,” says Rena Klein, FAIA, the firm’s vice president for investment partnerships. “Most architects never received any formal business training, and there are few resources to help them. CVG identifies firms that want to grow, and forms a long-term partnership with shared risk so we’re all working together to improve the business,” she explains. HKP Architects has undergone several ownership changes since its founding by Henry Klein in 1952. The small, rural Washington firm has successfully taken on large scale projects and bares a strong reputation in the Northwest. Owners Julie Blazek and Brian Poppe intend to diversify its customer base and build upon the strength of the firm’s history. “We know we must constantly be improving our firm,” says Blazek. “That includes improving the way we’re running our business. The CVG partnership gives us a wide range of resources that would be difficult for us to secure in their independent categories,” she says. The architecture firms in the CVG portfolio range from a sole proprietor in Vermont to an 18 person firm in Alabama. The areas of practice range across all industries. CVG is actively working with architecture firms in sixteen states and one foreign country. Wes Featherston AIA, founded Process Architecture in Orlando, Florida in 2011. The firm currently employs three full-time persons and has experienced consistent growth. “I don’t want to just create the usual architecture firm,” says Featherston. “I want to grow a profitable business that allows us to win the projects we are most passionate about. The CVG partnership gives me an immediate sounding board for business decisions,” he says. CVG has also developed its own proprietary client relationship management system, nicknamed “Abadaba”. The software is made available to all of the firm’s investment partners, and they use it to create and manage their business development processes. “It is critical that our firms adopt a consistent business development process, and we’re proactively pursuing new opportunities,” says Reding. “We don’t wait for the phone to ring,” he says. Charrette Venture Group is currently considering new investment partners in key geographic areas. For more information, visit www.CharretteVG.com or call 515-207-2422. Charrette Venture Group (CVG) announces its newest member of its senior team, Emily Hall. Hall will begin her role as vice president for marketing on September 1, 2017. She has been serving as a senior associate and the director of marketing and new business development for Union Studio Architecture and Community Design in Providence, Rhode Island for the past seven years. She holds a Bachelor of Arts from Colorado College, a Master of Industrial Design from the Rhode Island School of Design, and a Master of Business Administration from the University of Rhode Island. “Emily has advised our group for more than a year, offering marketing direction for our investment partners and our own firm,” said Todd L. Reding, CVG’s president and CEO. “She is a stellar professional with over 16 years experience helping small architecture firms grow their marketing programs and will bring enormous value to the team,” he said. Hall has managed multiple rebranding and renaming projects for firms, as well as conducted numerous messaging exercises. “I look forward to helping CVG continue to grow and positively impact its design community,” said Hall. “Every architectural firm is different, and this opportunity enables me to help our clients communicate how they’re unique,” she said. Charrette Venture Group is one of the world’s only investment firms focusing on small-to-mid-sized architecture firms. The group provides services, technologies, group purchasing programs, and other assets related to improving the business side of a design firm, and offers a shared risk revenue model. Please join me in welcoming Erin Poppe as our newest member of the CVG Team. Erin will be serving as our Strengths and Coaching Expert, helping our partners further utilize the Gallup StrengthsFinder data and leadership coaching. 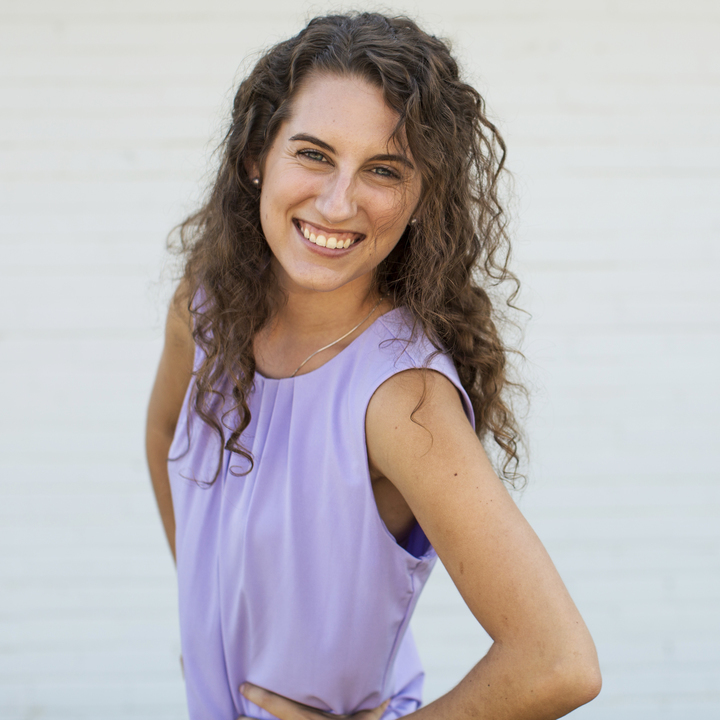 She has a Masters in Public Administration from Kansas State University, and has most recently worked as a graduate research assistant in Kansas State University’s StrengthsQuest program. Erin is also an experienced photographer and journalist. She lives in Manhattan, Kansas and is the daughter of an architect. Des Moines, Iowa - RM Klein Consulting announced today it is merging its operations with Charrette Venture Group (CVG). Rena Klein, FAIA has built the consulting firm’s brand over the past 20 years, serving small and mid-sized architecture and design firms. 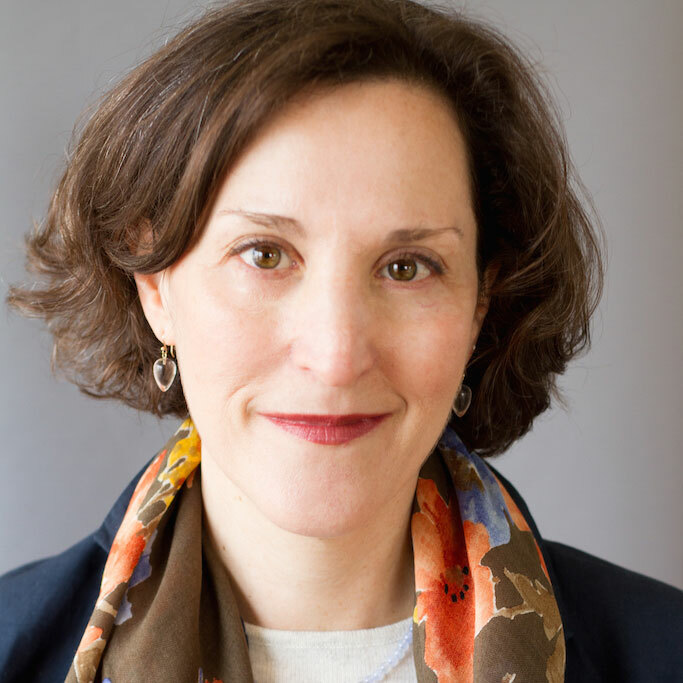 She authored the book, “The Architect’s Guide to Small Firm Management” published in 2010, and has been an advisor to Charrette Venture Group for the past several years. “Rena brings a depth of experience that will substantially strengthen our ability to serve growing design firms,” said Todd L. Reding, president and CEO of Charrette Venture Group. The group was formed in 2014 to address the common challenge among design firms to develop into thriving businesses. The group manages investments in firms throughout the United States, and has recently begun to offer individual consulting services as well. “Strengthening my partnership with Charrette Venture Group will allow me to have a greater impact on the advancement of design professionals and their firms,” Klein said. “I am thrilled to be a part of this talented team, and contribute to the Group’s success,” she said. Consulting services will become a part of CVG’s offerings and the RM Klein Consulting brand will become a division of CVG. “We see enormous opportunity to positively impact firms wanting to grow,” Reding said. “Our unique investment offering is strengthened with this merger, which also allows us to support design firm owners with management coaching and customized engagements,” he said. For more information on Charrette Venture Group, visit the website at www.charrettevg.com, or contact Todd Reding at todd@charrettevg.com, or 515-207-2422. A conversation with Lucas Gray, Assoc. AIA. Read the full article posted on Young Architects Forum here. The full magazine is available to read down below. DES MOINES, IA, BOSTON, MA and RALEIGH, NC – July 12, 2016 – Charrette Venture Group, an investment firm focusing on the design space, announced its first investment in the Boston area today. Likely the only investment firm in the United States focused on the design industry, the firm has invested in CUBE Design and Research owned by Chris Johns and Jason Hart. “We are thrilled to formalize this partnership,” said Todd L. Reding, President and CEO of Charrette Venture Group. “CUBE Design and Research is a unique firm with tremendous talent. We look forward to helping them build a strong and growing business,” he said. CUBE is a relatively new firm, however, the partners have worked together in various forms for more than twenty years. “CUBE is finally coming together as its own entity with clear definition,” says partner Chris Johns. “We plan to grow CUBE into a significant player in the East Coast market,” says Johns. Partner Jason Hart, who is located in Raleigh, NC, has been responsible for the firm’s achievement of awards such as the AIA North Carolina Honor Award and the first place finish for the George Matsumoto Prize. “We have been fortunate enough to work on some amazing projects over the years,” says Hart. “I am excited to help CUBE Design and Research develop as a business and take on even larger challenges,” he says. Charrette Venture Group (CVG) will provide support in marketing, business development, finance and management. “We will help CUBE Design overcome many of the common challenges that face small businesses in their early years,” says Reding. “Our goal is to help firms like CUBE grow into robust, strong businesses,” he says. Charrette Venture Group is a global venture firm focused on professional designers. The group seeks to positively impact the way new and growing design firms operate throughout the world. For more information, contact Todd L. Reding at todd@charrettevg.com. Learn how CVG provides services for growing firms. Five firms will compete for $15,000 business plan competition prize DES MOINES – May 2, 2016: Charrette Venture Group has named five finalists in its annual Architecture Business Plan Competition. Architects from across the United States and Canada were invited to register for the free competition and submit an explainer video and executive summary of their business plan concept. For the third year running, Charrette Venture Group has organized the competition that is unique to the profession of architecture. Final presentations and judging will take place in Philadelphia, May 18th and 19th in conjunction with the National Convention of the American Institute of Architects. About ADD+Venture: ADD+Venture is the Houston, Texas-base non-profit, architect-as-developer practice that Courtney Brinegar, AIA is developing to provide creative services focused on sustainable and socially-responsible development in Houston’s urban, food desert environments. ADD+Venture will serve the market where underserved communities are in need of development. Areas that for-profit entities avoid for lack of immediate financial benefit and the need to fulfill profit generating formulas. ADD+Venture’s mission is to purchase existing properties with to create developments that unify neighborhoods, celebrate local talents and businesses, and bring needed resources to turn dilapidated areas into thriving communities without gentrification. About ARCH406: ARCH406 is a Billings, Montana-based Architect-led Design-Build firm that creates built work reflecting the founders’ passion for design and craftsmanship. ARCH406 develops projects that enrich their community by controlling the process by which they are developed, designed, and built. About Building Ingenuity: Building Ingenuity is the Fort Lauderdale, Florida-based brainchild of Victor Caban-Diaz, AIA. Buildingenuity will be an architect-centric “Invest-Build-Own” company that will leverage the power of social media, crowdfunding, education, and franchising to offer services worldwide. The focal point of Buildingenuity will be the ability to offer a greater ROI by executing cutting-edge building projects for less through the ingenuity of Master Builders, who leverage technology, research, and mass production. Buildingenuity will set the stage for a new way of doing business in architecture by establishing a hybrid income generation structure where architects earn from service fees and passive revenue from real estate assets. Buildingenuity will be recognized as a franchise opportunity for architects to fulfill their design passions, build passive wealth, and live a better lifestyle. About Clever Moderns: Clever Moderns is a Los Angeles-based online platform where DIY owner-builders can download plans and get project support for building their own houses. Los Angeles-based Architect, Earl Parson created the Clever Moderns platform to operate on a freemium business model. The designs are created by a network of certified affiliate architects for whom the platform will be a source of passive income. Clever Moderns’ goal is to grow to become a global lifestyle brand. About Love | Schack Architecture: Love | Schack Architecture (LS:A) is a growing architectural firm that operates remotely through sister offices in Driggs, Idaho and Manhattan, Montana, serving the northern Rocky Mountain Region. As regional design experts and local design advocates, LS:A has the capacity to improve and inspire their local building community. LS:A is recognized as regional experts in high-performance design with certification in Passive House methodology as well as experience with natural products such as straw bale, straw clay, earthen construction, and natural plasters. About Architecture Business Plan Competition: The Architecture Business Plan Competition is an annual event organized by Charrette Venture Group that recognizes entrepreneurial architects that have developed a thoughtful plan for fulfilling their dreams. The competition is open to registered Architects in the United States and Canada who are considering starting a design firm, or who have started a firm in the past ten years. In 2016, the winners of the 3rd annual event will receive more than $15,000 in cash and prizes. Final presentations and judging for the 2016 Architecture Business Plan Competition will take place May 18th and 19th in Philadelphia. About Charrette Venture Group: Charrette Venture Group is a global venture firm based in Des Moines, Iowa, whose ultimate goal is to serve as an investment firm that helps growing design firms. Investments can be in the form of capital, or they can be technology, mentoring and business advice, marketing and business development support, or other expertise and resources. They seek to be a long-term partner who takes a stake in both the risk and the reward of the firm’s success. Charrette Venture Group seeks to positively impact the way new and growing design firms operate throughout the world. Charrette Venture Group invests in LoveSchack Architecture and enters Montana DES MOINES, IA and BOZEMAN, MT – Likely the only investment firm in the United States focused on the design space, Charrette Venture Group (CVG) (charrettevg.com), announced its arrival in the Yellowstone Region today. “We have agreed to a five-year investment deal with LoveSchack Architecture” said President and CEO, Todd L. Reding. “This deal is our opportunity to serve a new and growing architecture firm and ensure they become the dominant player in their region,” he said. Charrette Venture Group, founded by software entrepreneur and licensed architect, Matt Ostanik, has previously announced investments in architecture and design firms in New York, New Hampshire, Ohio and Oregon. “Within our first two years of operations, we have assembled a large pool of architecture and design firms that represent excellent opportunities for investments and growth,” said Reding. “It is our vision to select talented firms and invest resources to create significant growth,” he said. LoveSchack Architecture was founded by Montana natives, Lindsey Love and Lindsay Schack. The firm specializes in sustainability in residential and community design, with specific experience in the Passive House standard. “We want to grow a successful business that provides great value for our clients,” said President and Co-Founder, Lindsay Schack. “Our partnership with Charrette Venture Group gives us the resources to grow and serve a larger client base,” she said. Charrette Venture Group is a global venture firm focused on professional designers of the built environment. The group seeks to positively impact the way new and growing design firms operate throughout the world. For more information, contact Todd L. Reding at todd@charrettevg.com. Charrette Venture Group invests in Scott Architecture and plans for growth DES MOINES, IA and DAYTON, OH – Likely the only investment firm in the United States focused on the design space, Charrette Venture Group (CVG), announced its entry in the Ohio area today. “We have agreed to a five-year investment deal with Scott Architecture in Dayton, Ohio,” said President and CEO, Todd L. Reding. “This deal is our first in this state, and in the Midwest,” he said. Charrette Venture Group, founded by software entrepreneur and licensed architect, Matt Ostanik, has previously announced investments in architecture and design firms in New York, New Hampshire and Oregon. “Within our first two years of operations, we have assembled a large pool of architecture firms that represent excellent opportunities for investments, and growth,” said Reding. “It is our vision to select talented design firms and invest resources to grow them into the dominant player in their markets,” he said. Founded in 2008, Scott Architecture has designed some of the most luxurious, custom homes in the Dayton, Columbus and Cincinnati area. “I wanted to create a firm that serves as a guide for our clients,” says Sheri Scott, President and Founder. “I have built a strong customer base and portfolio, and I’m growing my business,” she says. “My partnership with Charrette Venture Group will help me do this faster, and with more talent dedicated to my mission,” she says. Charrette Venture Group has grown its network of investment and staff partners throughout the United States and Canada as the first, and apparently only, investment firm focusing on the architecture space. The firm’s team of experts cover areas from finance, to operations to digital marketing. “I’m thrilled to join such an accomplished team of professionals,” says Lisa Saldivar. “We’re already making a tremendous impact on our partner firms, and I look forward to contributing to their enormous success,” she says. One of Saldivar’s first accomplishments was the rebranding and redesign of EntreArchitect.com. CVG announced its investment in EntreArchitect in August of 2015. The online platform offers products and services (documents, courses, coaching, consulting, information, membership-based communities, research, and more) for owners of architecture firms who seek to improve and grow their business. The new design was launched January 1, 2016 and has already attracted a growing number of members in EntreArchitect’s small group Academy program. GRINNELL, IOWA and NEW YORK, NEW YORK: Charrette Venture Group (CVG), a venture group focused on supporting and enabling entrepreneurial architects and designers, and experienced consultant Nancy Kleppel, have joined forces to bring sophisticated business development practices to emerging firms. Kleppel began her career as a practicing architect and shifted her focus to firm management in 1997 as the Director of Business Development at SOM NY. She holds a BA from Brown and an MArch from Harvard. For more than 25 years she has worked with design and construction services firms to strengthen their business development and marketing programs. She is a Principal with Appleseed Strategy Development and Communications for the Built Environment. Appleseed provides firm strategy and management advice, client and project development, branding, communications and outreach for a broad range of design, construction and real estate professionals. "Nancy brings an expertise to the CVG team that is needed within all of the firms we serve," said Todd L. Reding, Chief Operations Officer and Vice President for Investments at Charrette Venture Group. "Helping them create stronger business development programs will ensure they rise above competition and remain strong through economic shifts." Kleppel is an active member of the Society for Marketing Professional Services and the AIA New York chapter. She has taken a leadership role in delivering professional development seminars for both organizations and has written and co-written professional practice articles published in Zweig Letter, ArchNewsNow and ArcCa, The Journal of The AIA California Council. "The Charrette Venture Group is applying a model that is common in other industries, but virtually non-existent in the design space," says Kleppel. "I believe they will have a tremendous impact on our profession, and I'm excited to be a part of the effort," she said. About Charrette Venture Group:Charrette Venture Group is a global venture firm based in Grinnell, Iowa, that is focused on professional designers of the built environment. The group seeks to positively impact the way new and growing design firms operate throughout the world. DES MOINES, IA and PORTLAND, OR – October 20, 2015 – Today, Charrette Venture Group (CVG) (charrettevg.com), a venture group focused on supporting and enabling entrepreneurial architects and designers, and Propel Studio (propelstudio.com), a Portland-based architecture firm, announced that they have formed a new partnership designed to spawn significant growth in the emerging small firm. Founded in 2013, Propel Studio is a community oriented architecture and design firm that collaborates with creative, inspiring people and organizations. They look to the triple bottom line – environment, economics, and people – to create unique and inspiring solutions for each design challenge. Propel has worked on a wide range of residential and commercial projects including: Modo Yoga Portland, Tea Bar cafe, Lents Story Yard art installation, the XOXO Festival, a community center for The Rosewood Initiative, a series of street seats throughout the city, and many Accessory Dwelling Units and custom modern homes. Principal and co-owner Nick Mira holds a Bachelor of Architecture degree from Wentworth Institute of Technology in Boston and is a LEED accredited professional. Co-owner Lucas Gray has a Bachelor of Architecture from McGill University in Montreal, Canada and a Master of Architecture degree from the University of Oregon. He is also a LEED accredited professional. "Our relationship with Charrette Venture Group allows us to build a stronger business at a much faster pace," said Mira. "This helps us continue to grow while remaining focused on serving our clients." "I am thrilled," said Todd L. Reding, Chief Operations Officer and Vice President for Investments at Charrette Venture Group. "Propel Studio is an innovative firm that will definitely soar to new heights. I am glad CVG can be a part of their future." Charrette Venture Group is a global venture firm based in Grinnell, Iowa, that invests in small and growing design firms. They specialize in helping these firms reach new heights by investing capital, resources and services to overcome common challenges. Learn how CVG provides virtual bookkeeping services for growing firms. DES MOINES, IA and HANOVER, NH – September 16, 2015 – Today, Charrette Venture Group (CVG), a venture group focused on supporting and enabling entrepreneurial architects and designers, and UK Architects announced that they have formed a new partnership designed to spawn significant growth in the long-standing architecture firm and expand its services throughout the Upper Valley region. Founded in 1992, UK Architects has deep roots in Hanover and the Upper Valley region of New Hampshire and Vermont. They specialize in bringing a high level of attention, quality and design to projects for clients ranging from Community Partners to Educational Institutions to Healthcare Organizations to Private Homeowners. Their focus is on projects that add to the community and quality of life that extends beyond the footprint of the buildings they create. "This deal helps us expand our capacity to help our clients improve their communities and achieve their goals,” says Chris Kennedy, Owner of UK Architects. "CVG gives us the resources and a team of professionals to raise our game in a variety of areas so that we can focus on building a stronger business," says Kennedy. “Partnering with UK Architects allows us to raise the level of practice and service for communities and clients in an area where we’ve never been,” said Todd L. Reding, Chief Operations Officer and Vice President for Investments at Charrette Venture Group. “Chris Kennedy and his team already bring a passion for quality and service to their projects. I’m excited that we’ll be helping them make an even greater impact in the Upper Valley region.” he said. Charrette Venture Group and Entrepreneur Architect (EntreArch LLC) are joining forces to fuel Entrepreneur Architect's growth and further expand the company's ability to positively impact small architecture firms. The partnership was announced this week as Charrette Venture Group has completed its research phase and is actively pursuing investment partnerships. "This deal will help EntreArch reach its goals much faster," says Mark R. LePage, owner of EntreArch LLC. "Charrette Venture Group brings an array of resources to the table, and it is exactly what we need to grow the Entrepreneur Architect platform to be an influential force in the profession," says LePage. EntreArch LLC operates under the brand Entrepreneur Architect (EntreArchitect.com) and has attracted a following in the tens of thousands. A weekly podcast, hosted by LePage, experiences more than 7,000 downloads per month. Entrepreneur Architect also features an exclusive academy program where like-minded architects come together to discuss common challenges and learn new skills for running their firms. "We see enormous potential in Mark and his business," says Todd L. Reding, chief operations officer and vice president for investments at Charrette Venture Group. "Entrepreneur Architect will be the global leader in providing education, support and information to small firm architects seeking to make their practices better." Charrette Venture Group is a global venture firm focused on professional designers of the built environment. The group seeks to positively impact the way new and growing design firms operate throughout the world. For more information contact Todd L. Reding at todd@charrettevg.com. Learn how CVG provides web design services for growing firms. DES MOINES and INDIANAPOLIS: Today, Charrette Venture Group (CVG), a venture group focused on supporting and enabling entrepreneurial architects and designers, and digital marketing agency echoEngagement LLC (echoEngagement) announced that they have formed a new partnership to expand the management of digital marketing services for new and growing design firms. The partnership establishes echoEngagement, owned by Jeff Echols (www.architectoftheinternet.com), as the primary provider of digital marketing services to all CVG partners. "Charrette Venture Group is addressing a market need that I have observed for years," said Echols. "Our new partnership will significantly expand my firm's ability to help architects tell their story and increase our impact on this important space." echoEngagement was formed in November 2014 after Echols exited a successful architecture firm. "I enjoy connecting with people and hearing, and telling, their stories. This has always been a part of me," said Echols. "The digital marketing and storytelling space has just been a natural fit with my passion." "This partnership is going to significantly move the needle for the new and growing firms we serve," said Todd L. Reding, Chief Operations Officer and Vice President for Investments at Charrette Venture Group. "Jeff brings talents to our group that fills many gaps in our offerings. This is exciting!" he said. About Charrette Venture Group: Charrette Venture Group is a global venture firm based in Des Moines, Iowa, that is focused on professional designers of the built environment. The group seeks to positively impact the way new and growing design firms operate throughout the world.